Thomas Kaufman is a partner in the Labor & Employment Practice Group in the firm's Century City office. Mr. Kaufman's practice is in employment litigation defense, with a subspecialty in California Labor Code and federal wage/hour class actions. Mr. Kaufman has handled class litigation matters for a wide variety of industries, including banks and mortgage lenders, hospitals, information technology and communications companies, restaurants, and other retailers. 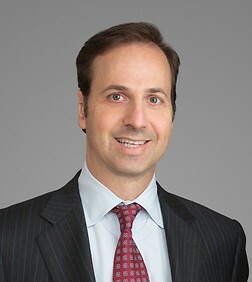 Mr. Kaufman also is experienced in litigating individual employment discrimination cases, including winning several jury trials in such matters. Ibarra v. Manheim Investments, Inc., 775 F.3d 1193 (9th Cir. 2015). Reversed district court order remanding case and established more employer-friendly test for removing cases to federal court under the Class Action Fairness Act. Jong v. Kaiser Foundation Health Plan, 226 Cal. App. 4th 391 (2014). Affirming summary judgment in off-the-clock case and establishing that California follows federal standard for when off-the-clock work is compensable. Vinole v. Countrywide Home Loans, Inc., 571 F.3d 935 (9th Cir. 2009) (affirming 246 F.R.D. 637 (S.D. Cal. 2007)). Motion to deny class certification granted as to purported class of several thousand Home Loan Consultants. Disapproved line of anti-employer class certification decisions. Louie v. McCormick & Schmick Restaurant Corp., 460 F. Supp. 2d 1153 (2006). Obtained dismissal in tip-pooling class action that established the proposition that it is lawful to compel waitstaff to share tips with restaurant bartenders. Steinhebel v. Los Angeles Times Communications, LLC, 126 Cal.App.4th 696 (2005). Obtained summary judgment in $7 million class action alleging that defendant unlawfully charged back commissions it had previously advanced to its telesales employees for new subscription sales when those subscriptions were canceled in the first 28 days. Argued case on appeal, resulting in published affirmance of summary judgment. Garcia v. Stericycle, Inc., BC367878 (Los Angeles Superior Court). One-week jury trial in downtown Los Angeles on claims for disability discrimination, failure to accommodate and whistleblower retaliation. After only 90 minutes of deliberation, obtained a defense verdict on all counts. Brown and Morones v. Prospect Mortgage, JAMS No. 1200050840. Two-plaintiff race harassment case from African-American and Hispanic Loan Originators where supervisor admittedly used racially insensitive nicknames. Before former plaintiff's lawyer arbitrator, obtained complete defense ruling following 5-day arbitration. Friedman v. Symantec Corp., BC367878 (Los Angeles Superior Court). Two-week jury trial in downtown Los Angeles for fraud, breach of contract and failure to pay wages to high-paid salesperson. After less than two hours of deliberation, unanimous jury awarded complete defense verdict. Sosa v. Southern California Permanente Medical Group, 03-CC-14786 (Orange Superior Court). Three week jury trial in the Orange County Superior Court. Allegations of failure to promote on account of age and gender discrimination. After less than one hour of deliberation, unanimous jury awarded complete defense verdict. Moultrup v. The Staubach Co., BC281068 (Los Angeles Superior Court). Began as a ten-day jury trial in the Los Angeles Superior Court. Allegations of breach of executive employment contract and fraud. Five days into the trial, Plaintiff agreed to dismiss his case in exchange for a waiver of costs. Whelan v. LSG Sky Chefs, Inc., 03-cv-1016 (USDC C.D. Cal.). Five-day jury trial in the Santa Ana federal court. Allegations of fraudulent misrepresentations concerning eligibility of employee to retire. After less than one day of deliberation, unanimous jury awarded complete defense verdict. Acuity Brands Lighting adv. DeLaTorre, CIVDS1601800 (San Bernardino Superior Court) (failure to provide meal and rest periods, failure to include bonus in regular rate, time rounding). Advantage Services adv. Ramirez, BC368131 (Los Angeles Superior Court) (improper deductions from temporary employee’s to cover cost of safety belts and meal period violations). American Restaurant Group adv. Farmer, BC349068 (Los Angeles Superior Court) (tip-pooling distribution from servers to bartenders). American Restaurant Group adv. Walker, 106CV070418 (Santa Clara Superior Court) (failure to provide meal and rest breaks to servers). ARAMARK Uniform & Career Apparel, Inc. adv. Austin, 02-CC-105 (Orange Superior Court) (deductions taken from checks of route salesmen who failed to collect from customers). ARAMARK Uniform & Career Apparel, Inc. adv. Dufour/Page, 04CV21852 (Santa Clara Superior Court) (failure to provide mandatory meal and rest breaks to driver salespersons). Autotrader.com adv. Carter, BC357958 (Los Angeles Superior Court) (failure to reimburse expenses and unlawful chargeback of commission wages). Balboa Life & Casualty adv. E. Zamora, BC360026 (Los Angeles Superior Court) (failure to provide accurate wage statements to non-exempt employees). Bank of America adv. Pittman, 08-cv-006588 (USDC C.D. Cal.) (failure to maintain proper meal and time records on contract employees). Baxter Healthcare Corporation adv. Sayaman, 10-cv-1049 (USDC C.D. Cal.) (exempt misclassification of Quality Laboratory Associates). Bose Corporation adv. Logan, BC418158 (Los Angeles Superior Court) (off-the-clock work for non-exempt employees in retail stores). Cenveo Corporation adv. Negrete, BC468072 (Los Angeles Superior Court) (unlawful rounding and failure to provide lawful meal periods to publishing plant employees). Charter Communications adv. Au, BC615210 (Los Angeles Superior Court) (seeking to hold cable company liable for subcontractor’s alleged meal and rest period and off the clock violations toward its employees). Charter Communications adv. Novoa, 13-cv-01302 (USDC E.D. Cal.) (alleged off-the-clock work for field technicians). Countrywide Financial Corp. adv. Arpajian, BC392136 (Los Angeles Superior Court) (waiting time penalties for failure to provide timely final paychecks to terminating employees). Countrywide Financial Corp. adv. Daly, 06-cv-05145 (USDC C.D. Cal.) (exempt misclassification of branch and call center subprime loan originators). Countrywide Financial Corp. adv. Lew, 08-cv-01993 (USDC N.D. Cal.) (failure to provide meal and rest periods to non-exempt loan processor employees). Countrywide Financial Corp. adv. R. Zamora, BC351127 (Los Angeles Superior Court) (challenging provisions of Account Executive comp plan as unlawful forfeitures of wages). Countrywide Home Loans adv. Cheenan, BC346411 (Los Angeles Superior Court) (waiting time penalties for temp agency’s failure to provide final check on last day of temp assignment). Countrywide Home Loans adv. Chin, RG08404332 (Alameda Superior Court) (misclassification of sales managers and branch loan originators, collateral Labor Code claims). Countrywide Home Loans adv. Reveles, BC366011 (Los Angeles Superior Court) (off-the-clock work and failure to provide meal and rest breaks to non-exempt loan specialists). Countrywide Home Loans adv. Rounsavall, BC362453 (Los Angeles Superior Court) (misclassification of loan underwriters). Countrywide Home Loans adv. Urso, CA5-705-08-01 (AAA Arbitration) (misclassification of branch-based A-paper mortgage loan originators as outside salespersons). Countrywide Home Loans adv. Vinole, GIC-874405 (San Diego Superior Court) (misclassification of branch-based A-paper mortgage loan originators as outside salespersons). Countrywide Home Loans adv. Wallace, 08-cv-01463 (USDC C.D. Cal.) (misclassification of account executives and alleged fraud in carrying out voluntary back pay program in connection with reclassification of job to non-exempt status). Countrywide Insurance Services adv. Tollefson, 56-2008-00332381 (Ventura Superior Court) (failure to provide meal periods and defective wage statements for non-exempt employees). Countrywide Securities Corp. adv. Cota, BC388005 (Los Angeles Superior Court) (exempt status of software developers at Countrywide). Cox Auto Trader, Inc. adv. Byrd, CGC 07-463062 (San Francisco Superior Court) (failure to reimburse mileage and cell phones for outside salespersons). Cox Auto Trader, Inc. adv. Montelongo, CGC 08-483561 (San Francisco Superior Court) (unlawful vacation pay forfeiture, failure to reimburse expenses, and waiting time penalties). Cox Communications adv. Amiri, 30-2016-00835723 (Orange County Superior Court) (alleged failure to pay wages properly for on call time). Cox Communications adv. Camia, 30-2012-00564626 (Orange County Superior Court) (off-the-clock work for non-exempt cable company field technicians). Cox Communications adv. Castillo, 10-cv-1622 (USDC S.D. Cal.) (off-the-clock work, meal periods, reimbursement for equipment expenses, and allegedly unlawful vacation policy). Cox Communications adv. Davis, 37-2015-00031791 (San Diego Superior Court) (alleged failure to provide meal and rest periods to non-field technical workers). Cox Communications adv. Lassiter, 37-2008-00084510 (San Diego Superior Court) (denial of meal and rest periods and wage statement violations as to non-exempt field service representatives). Cox Communications adv. Taylor, 16-cv-01915 (USDC C.D. Cal.) (seeking to force cable company to pay employees who bring their work vehicles home at night for time spent driving the vehicle home at the end of the workday). Cross Country TravCorps adv. Cossack, 03-CC-406 (Orange Superior Court) (miscalculation of overtime rate, failure to provide statutory meal periods, and waiting time penalties). Cross Country TravCorps adv. Kidd, BC410547 (Los Angeles Superior Court) (miscalculation of overtime rate and failure to provide meal periods). Dominion Distribution Services adv. Cortez, BC397208 (Los Angeles Superior Court) (failure to properly calculate overtime, failure to reimburse expenses, defective wage statements). DS Waters adv. Alexander, 09-cv-03384 (USDC C.D. Cal.) (failure to provide meal periods and alleged off-the-clock work for route drivers). E*TRADE Securities, Inc. adv. Simpson, 07-cv-00156 (USDC C.D. Cal.) (exempt misclassification of relationship manager financial advisors). Flextronics International USA, Inc. adv. Khan, 109CV152574 (Santa Clara Superior Court) (PAGA-only action alleging exempt misclassification of various IT employees). Fluor Enterprises, Inc. adv. Ward, 11-cv-00467 (USDC C.D. Cal.) (misclassification due to alleged failure to pay salary basis to otherwise exempt project controls employees). Follett Corp. adv. Hinman, 03-CC-6456 (Orange Superior Court) (reimbursement of travel expenses of California-based sales employees). GM Financial adv. Nemeth, 12-cv-02761 (USDC C.D. Cal.) (alleged misclassification of auto finance company credit analysts). HomeServices Lending adv. Buchanan, 11-cv-00922 (USDC S.D. Cal.) (deductions for business losses and expense reimbursement for HMCs of Wells Fargo joint venture). HomeServices Lending adv. DeBlanco, 11-cv-08254 (USDC C.D. Cal.) (misclassification of Home Mortgage Consultants for Wells Fargo joint venture). Kaiser Foundation Health Plan adv. Allen, BC328121 (Los Angeles Superior Court) (failure to provide accurate wage statements or calculate regular rate for non-exempt employees). Kaiser Foundation Health Plan adv. Andino, RG11580548 (Alameda Superior Court) (challenge to time rounding practices and to pay practices involving shifts spanning two designated "workdays"). Kaiser Foundation Health Plan adv. Batin, RG05236181 (Alameda Superior Court) (exempt misclassification of staff and project specialists). Kaiser Foundation Health Plan adv. Beauchamp, RG07307245 (Alameda Superior Court) (misclassification of IT employees in Operations and Systems Programmer job families). Kaiser Foundation Health Plan adv. Brown, BC489643 (Los Angeles Superior Court) (alleged failure to include non-discretionary bonus payments in the regular rate of pay). Kaiser Foundation Health Plan adv. Calhoun, CGC 10-501257 (San Francisco Superior Court) (failure to pay retention bonuses to HealthConnect employees at layoff). Kaiser Foundation Health Plan adv. Cervantes, RG06254835 (Alameda Superior Court) (waiting time penalties for alleged policy to delay in paying all employees’ final paychecks). Kaiser Foundation Health Plan adv. Clark, RG13692780 (Alameda Superior Court) (failure to pay for daily overtime where more than eight hours worked in one calendar day but on different work-shifts). Kaiser Foundation Health Plan adv. Coleman-Williams, 13-cv-0998 (USDC N.D. Cal.) (alleged exempt misclassification of insurance account managers). Kaiser Foundation Health Plan adv. Gonzalez, BC492725 (Los Angeles Superior Court) (alleged off-the-clock work by home health and palliative care employees who work in patient homes). Kaiser Foundation Health Plan adv. Hardesty, 37-2013-00044819 (San Diego Superior Court) (exempt misclassification of pharmacy project managers). Kaiser Foundation Health Plan, et al. adv. Holliman, RG05247858 (Alameda Superior Court) (miscalculation of overtime rate for all unionized, non-exempt employees). Kaiser Foundation Health Plan adv. Johnson, BC335531 (Los Angeles Superior Court) (exempt misclassification of software testers). Kaiser Foundation Health Plan adv. Jones, RG07332538 (Alameda Superior Court) (seeking waiting time penalties for failure to pay timely final paychecks to on-call employees). Kaiser Foundation Health Plan adv. Jong, RG12613328 (Alameda Superior Court) (off-the-clock work for pharmacy managers following their reclassification to non-exempt status). Kaiser Foundation Health Plan adv. Lazar, 114CV273289 (Santa Clara Superior Court) (exempt misclassification of account managers). Kaiser Foundation Health Plan adv. Lemmons, 34-2012-00125488 (Sacramento Superior Court) (failure to pay for alleged controlled-standby time for site support specialists). Kaiser Foundation Health Plan adv. Lopez, RG07305405 (Alameda Superior Court) (exempt misclassification of outpatient pharmacy managers). Kaiser Foundation Health Plan, et al. adv. Louie, 08-cv-0795 (USDC S.D. Cal.) (exempt status of Site Support Specialists on KP HealthConnect project). Kaiser Foundation Health Plan adv. Louie, 10-cv-670 (USDC C.D. Cal.) (lawfulness of on-duty meal period for graveyard shift hospital pharmacists). Kaiser Foundation Health Plan adv. Lucero, 37-2012-00084091 (San Diego Superior Court) (alleged misclassification of KP-IT business consultants). Kaiser Foundation Health Plan adv. Lusso, RG11593080 (Alameda Superior Court) (exempt misclassification of IT employees with Solutions Consultant job title). Kaiser Foundation Health Plan adv. Magistrado, BC362677 (Los Angeles Superior Court) (exempt misclassification of health plan underwriters). Kaiser Foundation Health Plan adv. Maricich, 10-cv-1375 (USDC S.D. Cal.) (exempt misclassification of administrative services supervisors). Kaiser Foundation Health Plan adv. Martel, 12-cv-0350 (USDC C.D. Cal.) (alleged misclassification of appointment center supervisors). Kaiser Foundation Health Plan adv. Martin, et al., BC395992 (Los Angeles Superior Court) (exempt misclassification of nurse case managers). Kaiser Foundation Health Plan, et al. adv. Mike, 08-cv-05374 (USDC N.D. Cal.) (exempt misclassification of IT Project Managers). Kaiser Foundation Health Plan adv. Miles, BC343535 (and related cases) (Los Angeles Superior Court) (exempt misclassification of IT desktop support employees). Kaiser Foundation Health Plan adv. Okura, BC337100 (Los Angeles Superior Court) (exempt misclassification of pharmacy managers). Kaiser Foundation Health Plan adv. Pasquale, 08-cv-00785 (USDC S.D. Cal.) (misclassification of Application Coordinators). Kaiser Foundation Health Plan, et al. adv. Ramsey, BC368605 (Los Angeles Superior Court) (exempt misclassification of utilization analysts and emergency room coordinators). Kaiser Foundation Health Plan adv. Santos, RG06300551 (Alameda Superior Court) (exempt misclassification of IT network telephony and operations employees). Kaiser Foundation Health Plan adv. Scott, RG11582019 (Alameda Superior Court) (reimbursement of uniform expenses for hospital employees and meal period practices for patient mobility coordinators). Kaiser Foundation Health Plan adv. Small, 37-2011-00099011 (San Diego Superior Court) (exempt misclassification of Network Telephony leads). Kaiser Foundation Health Plan adv. Smith, 08-cv-02353 (USDC S.D. Cal.) (exempt misclassification of Senior Business Application Coordinators and KP HealthConnect Analysts and Senior Analysts). Kaiser Foundation Health Plan adv. Stringer, RG07349734 (Alameda Superior Court) (exempt misclassification of Business Application Coordinators on KP HealthConnect project). Kaiser Foundation Health Plan adv. Tate, RG07318416 (Alameda Superior Court) (failure to pay overtime and provide meal and rest periods to recruiters). Kaiser Foundation Health Plan adv. Verma, 00303869 (Orange Superior Court) (exempt misclassification of Assistant Dept. Administrators involved in nurse education). Kaiser Foundation Health Plan adv. Yam, RG10498319 (Alameda Superior Court) (exempt misclassification of IT employees working as Desktop Support Leads). Kiewit Pacific Co. adv. Burnside, 04-cv-1745 (USDC S.D. Cal.) (failure to pay wages for travel time on company van). Lawrence Service Company adv. Green, 12-cv-06155 (USDC C.D. Cal.) (off-the-clock work, failure to reimburse expenses, and meal and rest period violations for part-time merchandisers paid on a "project basis"). Los Angeles Times Communications LLC adv. Steinhebel, BC278968 (Los Angeles Superior Court) (commission chargebacks for newspaper telemarketers). Manheim Investments, Inc. adv. Ibarra, 12-cv-00318 (USDC S.D. Cal.) (failure to provide meal and rest periods and off-the-clock work for non-exempt auto auction employees). Manheim Investments, Inc. adv. Lewis, 30-2016-0082960 (Orange County Superior Court) (failure to pay temp employees for time spent waiting to see if they have a temp assignment for the day). McCormick & Schmick’s adv. Louie, BC349037 (Los Angeles Superior Court) (forced tip-pooling distribution from servers to bartenders). Mpower Communications Corp. adv. Roberts, BC329012 (Los Angeles Superior Court) (failure to reimburse business expenses). Pacific Interpreters adv. Miller, 12-cv-02074 (USDC Ore.) (alleged misclassification of language translators as independent contractors). Pitney Bowes, Inc. adv. Chiaramonte, 06-cv-1507 (USDC S.D. Cal.) (unlawful commission chargebacks and failure to reimburse expenses of sales employees). Pitney Bowes, Inc. adv. Nettles, RG08397421 (Alameda Superior Court) (off-the-clock work, denial of meal periods, and denial of reimbursements to non-exempt service technicians). Ruth’s Chris Steakhouse adv. Miller, 03-CC-00435 (Orange Superior Court) (failure to provide meal and rest periods and failure to pay accrued vacation pay upon termination of employment). Snap-on, Inc. adv. Plantillas, 13-cv-05153 (USDC C.D. Cal.) (unlawful rounding, failure to pay regular rate on bonus, and failure to pay for uniform expenses). Southern California Permanente Medical Group adv. Flores, BC424255 (Los Angeles Superior Court) (failure to provide meal periods and reimburse expenses of phlebotomists). Southern California Permanente Medical Group adv. Luna, BC370874 (Los Angeles Superior Court) (failure to provide meal periods to any Kaiser non-exempt employees). Southern California Permanente Medical Group adv. Malmad, BC391131 (Los Angeles Superior Court) (exempt misclassification of Senior Systems Consultants). Southern California Permanente Medical Group adv. Penuela, BC396462 (Los Angeles Superior Court (exempt misclassification of IT Project Managers). Southern California Permanente Medical Group adv. Port, 37-2007-00067538 (San Diego Superior Court) (exempt misclassification of Analysts of KP HealthConnect project). Stanford Hotels, Inc. adv. Carranza, BC427215 (Los Angeles Superior Court) (unlawful time clock rounding, reporting time pay, and meal period violations). Stericycle adv. Butler, 34-2015-00180282 (Sacramento Superior Court) (failure to provide meal and rest periods, and failure to include bonus pay in regular rate). Symantec Corp. adv. Merenda, BC350605 (Los Angeles Superior Court) (exempt misclassification of software testers). Symantec Corp. adv. Sarkisian, BC423476 (Los Angeles Superior Court) (exempt misclassification of IT technical workers). Tuesday Morning, Inc. adv. Doherty, BC255823 (Los Angeles Superior Court) (bonus plan challenged as unlawful deduction scheme). Tully’s Coffee Co. adv. Lam, BC311114 (Los Angeles Superior Court) (exempt misclassification of store managers in coffee shops). Tully’s Coffee Co. adv. Kullar, RG07362451 (Alameda Superior Court) (failure to provide meal and rest periods to non-exempt employees working in coffee shops). Tuneup Masters adv. Pimentel, BC271698 (Los Angeles Superior Court) (exempt misclassification of store managers in automotive service stores). Tyco International (U.S.), Inc. adv. Hernandez, BC315749 (Los Angeles Superior Court) (meal and rest period violations and unlawful rounding down of time for industrial employees). Valero Refining Company adv. Wulfe, 12-cv-05971 (USDC C.D. Cal.) (alleged failure to provide meal periods and off-the-clock work for refinery operators). Valero Services, Inc. adv. Garcia, BC373720 (Los Angeles Superior Court) (failure to provide meal periods and to properly calculate regular rate of pay for non-exempt refinery employees). Wells Fargo Bank adv. Caprarola, L-3570-13 (New Jersey Superior Court) (challenging under New Jersey law method of calculation employee commissions as "unlawful deductions" and challenging requirement that employees pay subscription fee for websites and marketing programs). Wells Fargo Bank adv. Cox, 13-cv-01052 (USDC Conn.) (challenging under Connecticut law method of calculation employee commissions as "unlawful deductions" and challenging requirement that employees pay subscription fee for websites and marketing programs). Wells Fargo Bank adv. Dyer, 13-cv-2858 (USDC N.D. Cal.) (nationwide breach of contract action alleging Wells Fargo systematically miscalculated commissions on a certain type of mortgage loan). Wells Fargo Bank adv. Fudge, 37-2012-00084040 (San Diego Superior Court) (alleged failure to pay earned commissions to terminated loan originators). Wells Fargo Bank adv. Galowitch, 130302298 (Philadelphia Court of Common Pleas) (challenging method of calculation employee commissions as "unlawful deductions" under Pennsylvania law). Wells Fargo Bank adv. Gilbert, 11-cv-01841 (USDC Nev.) (nationwide misclassification of business sales officers under FLSA and Nevada law). Wells Fargo Bank adv. Gordon, 11-cv-00090 (USDC S.D. Cal.) (misclassification of business sales consultants and failure to reimburse expenses). Wells Fargo Bank adv. Lewis, CGC 13-534914 (San Francisco Superior Court) (misclassification of Private Mortgage Bankers). Wells Fargo Bank adv. Macey, et al., CGC 10-501835 (San Francisco Superior Court) (deductions from commissions for "trust losses" and reimbursement of HMC expenses). Wells Fargo Bank adv. Nguyen, CGC 15-547596 (San Francisco Superior Court; removed to USDC N.D. Cal. 15-cv-5239) (various challenges to Wells Fargo compensation plans including allegations of unlawful deductions, vacation forfeiture, and failure to pay commission wages in a timely manner). Wells Fargo Bank adv. Selga, 37-2012-00102593 (San Diego Superior Court) (failure to provide meal periods and off-the-clock work to trainers allegedly required to take breaks while in flight between states). Wells Fargo Bank adv. Sylvia, 03-CC-5747 (Orange Superior Court) (failure to reimburse loan originator’s business expenses and unlawful deductions from commissions). Wells Fargo Bank adv. Taylor, BC433225 (Los Angeles Superior Court) (off-the-clock work for call center collections employees). Wells Fargo Bank adv. Vartanian, BC283288 (Los Angeles Superior Court) (performance- based bonus system challenged as unlawful wage deduction policy). Wells Fargo Bank adv. Vuong, CGC 08-480756 (San Francisco Superior Court) (exempt misclassification of service managers in bank branches). 7th Circ. Ruling Raises Bar For FLSA Class Cert. Wage & Hour Class Actions—Update: October 15, 2011 panel speaker within The State Bar of California Labor and Employment Section 29th Annual Meeting. Latests Trends in Class Action Mediation: April 30, 2010 panel speaker within CELA's 6th Annual Advanced Wage and Hour seminar. Representative Actions Under the UCL and PAGA: New Direction from the California Supreme Court: July 24, 2009, Panel speaker at teleseminar sponsored by State Bar. Advanced Strategies in Reducing Class Litigation: October 20, 2005 presentation at Seyfarth Shaw annual Labor Law symposium. Bridgeport Continuing Education - 2005 Conference on Labor and Employment Law: Master of Ceremonies for September 14-15, 2005 CLE seminar. The Class Action Fairness Act of 2005: Issues and Insights, June 7, 2005 presentation to Allstate Insurance Company in Northbrook, Illinois. Get That Monkey Off Your Back! Cutting Edge Employment Law Compliance Issues, April 20, 2005 presentation to American Corporate Counsel Association (ACCA). From Hiring to Firing: The Nuts and Bolts of Employment Law, February 5, 2005 presentation at Southwestern University on the subject of Business & Professions Code Section 17200 and Wage-Hour Class Actions. Recent Trends in Employment Class Actions – It’s Certainly Not Just Title VII Anymore, October 21, 2004 presentation at Seyfarth Shaw annual Labor Law symposium. Beyond The Exempt/Non-Exempt Dilemma – The Most Treacherous California Wage & Hour Laws You Never Heard of (but Plaintiffs Have), June 18, 2003 presentation to American Corporate Counsel Association (ACCA).